This course is split into two parts. Weeks 1&2: ‘Negligence Liability’; Weeks 3&4: ‘Risk Management’. Week 1: What is Negligence and why is it such a big deal? In July of 2015 California State University, Chico had the opportunity to participate in Sport Risk’s new ‘Best Practices’ risk management review conducted by Ian McGregor & Associates. Ian is clearly one of the most knowledgable and experienced leaders in risk management practices and our institution was excited to be one of the first Universities to use this new evaluation process. While evaluating our programs we found his work to be innovative, comprehensive, and easy to use throughout all aspects of our various recreation programs. Because of his outstanding work we are using the recommendations as a catalyst for program improvement. Being able to contrast our practices with other NIRSA institutions is invaluable in bringing our programs to a higher standard of excellence. 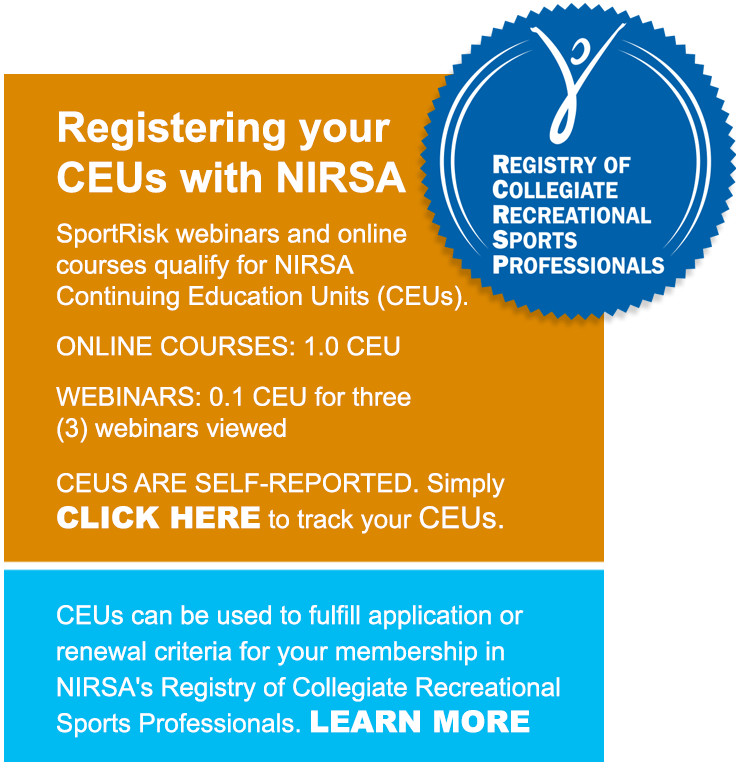 Without hesitation, I would recommend this process to any collegiate recreation program who is interested in current, state of the art, risk management practices. You will find Ian McGregor and Associates to be professional and cost effective in helping you meet your administrative responsibilities.